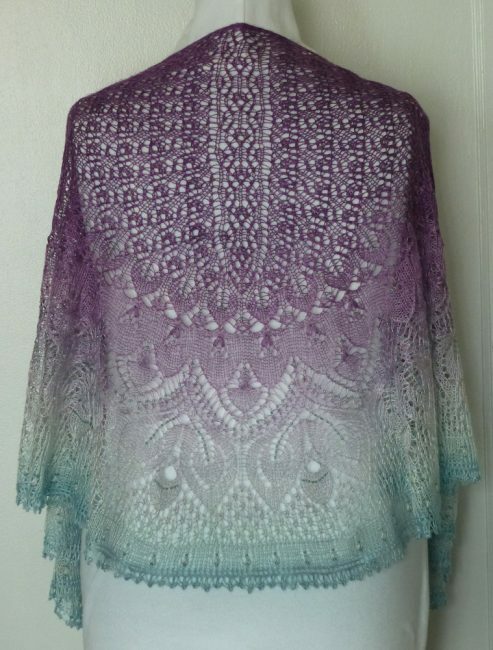 Lilac and aqua blend in a beautiful gradient to created this lovely Dawn Awaits shawl. 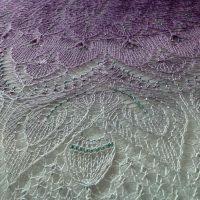 Fine, lace-weight silk yarn adds the perfect drape while lending an air of opulence. Perfect for a night on the town, or when you’d like extra color to a business suit. Either way, you’re sure to fall in love with this accessory. 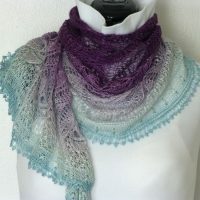 I absolutely love this shawl! 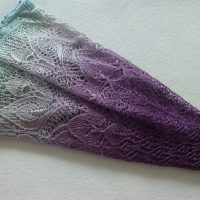 Second time knitting the Pantala shawl pattern and while I think it’s gorgeous, it’s a lot of added work doing the knitting on border. Now that I’ve knit this one exactly as written, it will probably go in my archives and not be knit again. 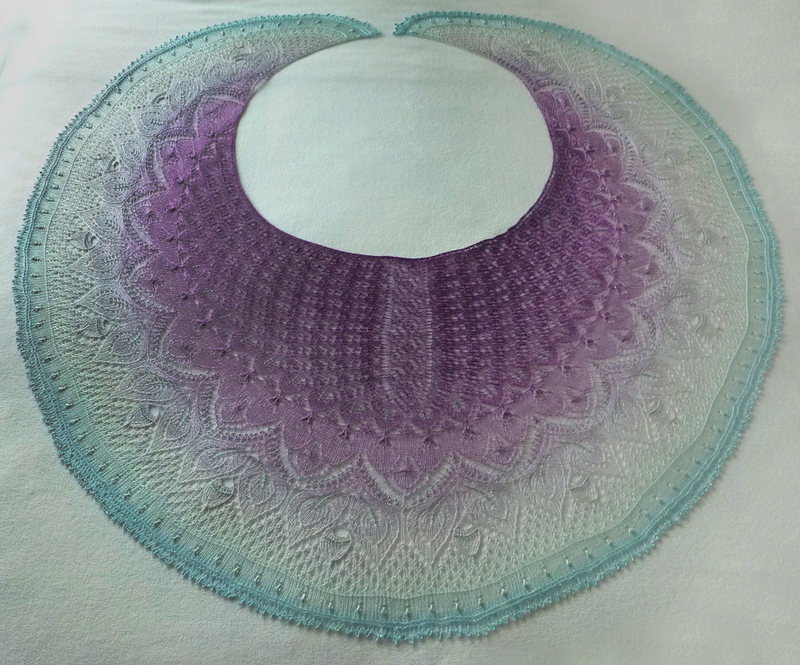 It’s not that I don’t think it’s a lovely shawl or difficult to knit, I’m just not a fan of added on borders. Takes forever! I will definitely be buying more Natali Stewart yarn. I love this silk base. Size: One size (S – XL), Measures 70″ wide by 24″ long. This shawl is not for sale. 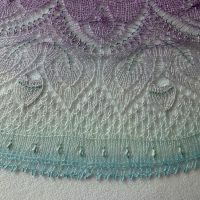 *Special thanks to Anne-Lise Maigaard (Pantala shawl) for creating such a wonderful pattern and Natalie Stewart Yarns for creating such beautiful yarn.